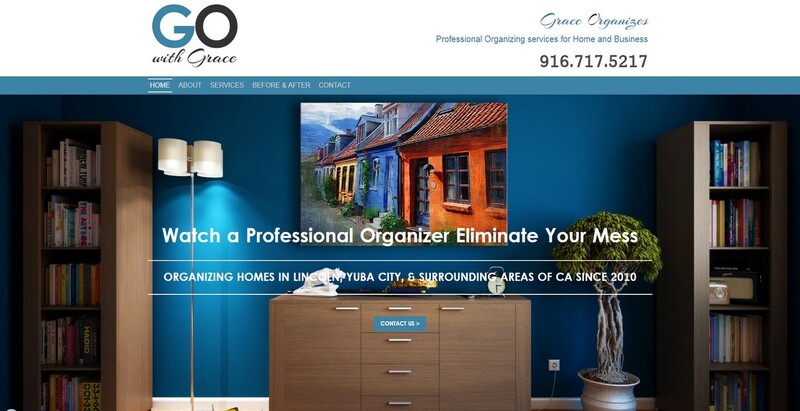 Grace had an old and dated looking DIY site when she contacted us. She had great content on the site, but it really didn't show her business, and her abilities, in a positive manner. We built her a quick logo to give her brand awareness. We modernized the look of the site and added a professional looking portfolio to show off her organizing work. We convinced Grace that branding was important so she had us design her a logo. She wanted simplicity, so we opted for a 100% text based logo without any special graphics.